There are a significant number of studies out there showing that cannabis could be a useful treatment for insomnia. Certainly, when comparing cannabis to some of the addictive pills that are prescribed for those with insomnia (usually benzodiazepines), cannabis could be said to be the more tolerable option. So, how do we judge what the best cannabis product for insomnia is? Honestly, the only thing we can look at is what patients are saying, the number of awards they’ve won and whether or not the company making the product has tested it for consistency, safety and efficacy. FDA approval is hard to come by, so clinical trials are few-and-far between, although they do happen on occasion. Another thing to look at is the cannabinoid-terpenoid profile. THC, CBN, CBG, THCA, CBGA, some CBD (too much may promote wakefulness in some), linalool, myrcene, humulene, terpineol and some limonene may be useful, but this will differ from person-to-person to some extent. Myrcene seems to be particularly abundant in indica strains and some hybrids, and terpenes like linalool are often found in “flowery”, “lavender” smelling strains of cannabis. To many people’s surprise, this product contains no CBD. Myrcene is the dominant terpene, and THC is the main cannabinoid, with some THCA, CBGA, CBG and CBC. Aunt Zelda’s also displays their lab results for cannabinoids, terpenes, microbes and pesticides, which is a massive plus in our book! 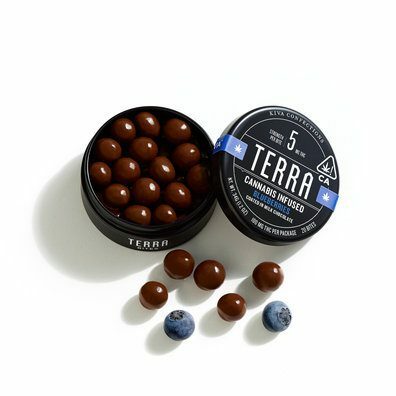 Terra Bites by Kiva Confections are small, bite-sized chocolate-covered snacks. There are two main flavors: dark chocolate covered espresso beans, and milk chocolate covered blueberries. For obvious reasons, the espresso beans are not going to be what you’re looking for if you’re treating insomnia! Packs are stated to contain a total of 120 mg THC, with every bit containing approximately 5 mg of THC (meaning that there are probably around 24 bites in each pack). This product also won several “Best Edible” awards in 2017. However, as these snacks are likely to contain sugar, caffeine and theobromine, we shall put this product in the “maybe” pile with regards to insomnia. Is there much out there that’s more relaxing than a nice, long, hot bath? 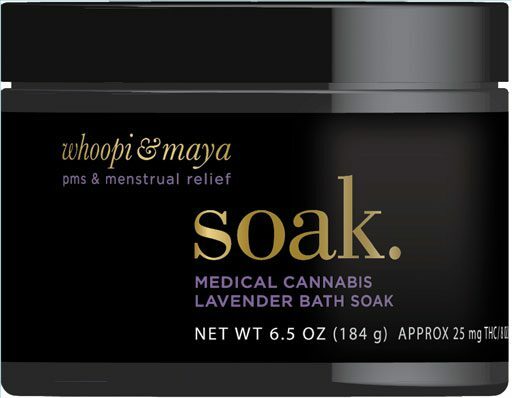 Maybe a cannabis-infused Epsom Salt bath that you can soak in to help beat any aches, pains, rashes and cramps? Whether a cannabinoid-infused bath will help may be questionable. Any relaxing effects could well be due to the bath and the essential oils as opposed to the cannabinoids themselves. Yet, there could be some therapeutic value to this method of using cannabis – we just need to see the science behind it. Raw honey has antibacterial, anti fungal, antiviral, anti-inflammatory, anti allergenic, immune stimulant and cell regenerative properties. Whilst honey is not necessarily suitable for everyone, good honey is far less refined and has far more health benefits than refined sugar. 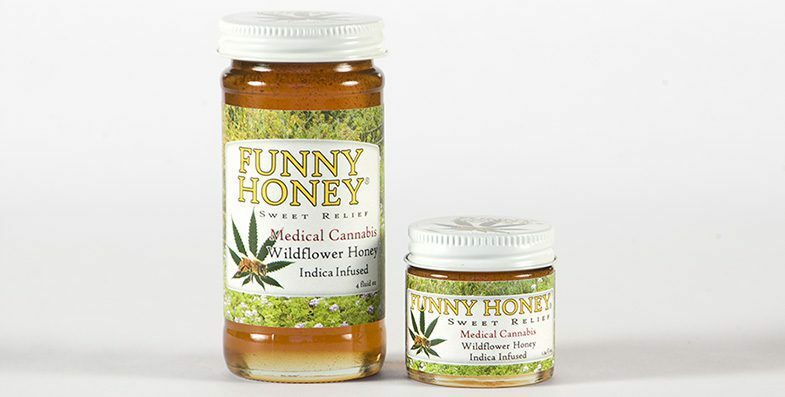 Whether or not this raw honey works in synergy with cannabis and the health benefits it imparts, we do not know, but it wouldn’t be surprising if there was some sort of interaction. There are two sizes available – 4 oz. jars and 12 oz. jars. A four ounce jar contains approximately 24 teaspoons, and the company recommends a dosage of between 1 and 4 teaspoons for desired effect. Funny Honey could be very useful, and can easily be taken by mixing into a hot drink about 30 mins – 1 hour before bed. Again, though, honey is full of fructose and glucose, so it may promote wakefulness. Test results for this honey cannot be seen on their website, either, so this is another one to put in the “maybe” pile. THC and THCA seem to have some ability to help sleep. 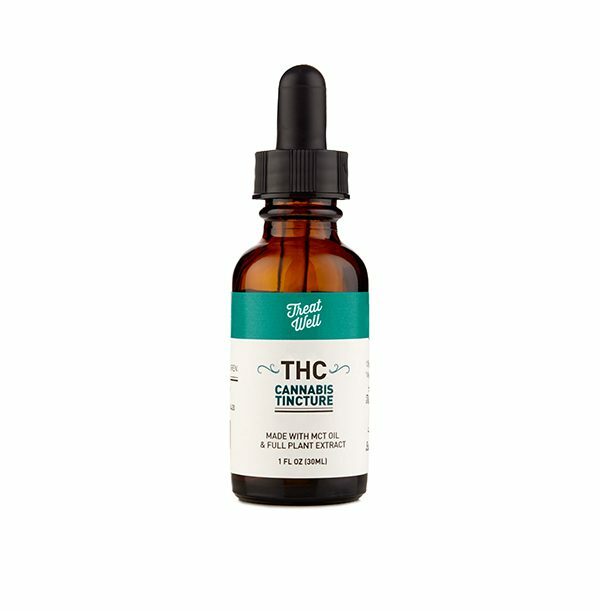 Treat Well’s THC tincture won the 2017 Emerald Cup, and due to its cannabinoid may help a person get to sleep. Terpenes such as nerolidol, humulene and terpineol may also help with insomnia, and this tincture is full of them. There is also plenty of beta-caryophyllene, a CB2 receptor agonist, so may ameliorate anxiety and improve sleep (and could even help suppress neuroinflammation in multiple sclerosis!). For those looking for a less psychoactive effect, Treat Well’s 1:1 may also be of interest. To add a little more information … THC may have an “energizing effect” for some time, followed by a “sleepy” effect, as THC increases the amount of adenosine found in the body. Yet, the energizing effects of THC may be tempered and even changed somewhat via interaction with terpenes. Microdosing edibles may help, and their effects last longer. We will, of course, reiterate that you should be very careful when it comes to edibles. Also, edibles can take longer for any effect to become apparent, so it may be necessary to dose at least 1 hour before going to bed in order to utilize the advantages of this ingestion method. For some, vaporizing a small amount of cannabis used in conjunction with tinctures may be best. The vaporizing helps getting to sleep, whilst the tincture can help maintain sleep over several hours. Cannabinol (CBN) has a sedating effect, and is the result of degraded THC. Interestingly, this means that older cannabis may have more “sleepy” effects. Check out our study if you want to know more about cannabis and its potential use for insomnia, as well as chronic pain, depression, anxiety and headache/migraine.